Chris Haney, the onetime Montreal Gazette photo editor who parlayed an idea sketched out on barroom napkins into one of the most successful board games in history – Trivial Pursuit -- has died in Toronto at the age of 55 after a long illness. In Dec., 1979, Christopher Haney, a Welland, Ont. native, and his Canadian Press colleague, sportswriter Scott Abbott, drafted the rough concept of a trivia-based board game over beer, during a lunch-hour game of Scrabble. They later rounded up some 32 small investors, who paid as little as $1,000, and used the proceeds to create a test-market version of the game. All of those early investors subsequently grew rich on the annual royalties. Five women presenters have resigned from the Arabic news channel Al-Jazeera after being accused of not dressing modestly enough. In a row which has split the channel, the five complained about harassment from a senior editor, whom they accused of making "offensive remarks" about their appearance. After the channel refused to back them, the five women, some of the best-known faces in the Middle East thanks to the channel's popularity, quit. Three others have registered protests while staying with the station. 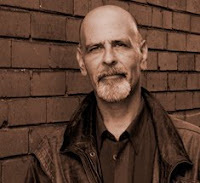 On Saturday, June 12th from 2:00 to 4:00pm, an informal memorial will be held for Ken Cavanagh, at the Gladstone Hotel, 1214 Queen Street West, Toronto. Are these Al Jazeera women immodestly dressed? Five female news presenters at the pan-Arab Al-Jazeera satellite television channel have resigned over conflicts with management over dress code and other issues, a journalist there said on Sunday. "This collective resignation is not motivated just by the growing pressure on the presenters concerning their dress code, which was evoked by the media," said the journalist, who asked not to be identified. "The conflicts run much deeper," the journalist added. The news presenters who have reportedly quit are Jumana Namur, Lina Zahreddin, Lona al-Shibel, Julnar Mussa and Nofar Afli. The Al-Hayat daily reported on Sunday that they had resigned in the past few days after petitioning management in January over repeated criticism from a top company official for allegedly not being conservative enough in their dress. Management of the Doha-based channel told AFP it would issue a response later. "In the end, the blog post raised some big questions about reporting standards and ethics: Did Kilgannon cross that sometimes hard-to-define line between legitimate reporting and violating privacy? Did he put too much trust in a single source? Does The Times have lesser standards for online journalism than for print journalism? Did a journalistic device — what Kilgannon’s editor called a “snapshot” of one famous life — turn out to be misleading and unfair? How much can The Times satisfy our curiosity about a great artist before it is less like The Times and more like a gossip sheet?" To read the full story, click on the title. The Philadelphia Inquirer loves Tom Rachman's novel "The Imperfectionist." "The zealous corrections editor, the bitter copy editor with her specified chair (always misplaced), the freelancers and far-flung stringers, the frenzied rush to deadline, the appreciative nod to a nicely turned headline, the cynics, the grumps, the jerks, the egos, the anxiety - Rachman, a former Associated Press reporter based in Rome, a former International Herald Tribune editor in Paris, has it all down, concisely, cinematically, with impressive humor and grace." Click on the title to read the full review. "At the end of the past week the Ken Faught era of the Toronto Star had ended. Ken joined the photo staff in 1986 after being discovered in the North West Territories. In 2004 he hung up his cameras in a blaze of glory by winning the National Newspaper Award in Sports photography to become photo editor. He also had a second picture up for the same award." Click on the title to see a gallery of Ken's photos. A photograph ofNorwegian Prime Minister Jens Stoltenberg sitting in an airport lounge at Newark airport using an iPad was released by government officials, captioned: "The Prime Minister is working at the airport." It prompted headlines across the world: the Norwegian PM is running his country via iPad. It has been just one of many examples of the hype around the device. The queues of tech disciples wanting to buy it during the past month is testament to that. In fact it has been dubbed the "Jesus tablet" for the belief it appears to inspire. But that also reflects the hope it offers to traditional publishers - the newspaper and the book industry - to arrest the decline in sales and circulation, or at least offer the chance to tap new revenue streams. The early signs are encouraging. News story announcing an arrangement which may prove profitable for these organizations, but as described sounds quite loose. It is noted to be "non-exclusive." Advertising specialists may take more from it. Story itemizes previous co-operation betweeen National Post and the CBC. National Post. News release on PRNewswire not a pretty picture. Comparable store sales in the domestic segment in the first quarter declined by 11.4%. Guardian is reporting this tonight via Reuters. Link above is to Reuters. 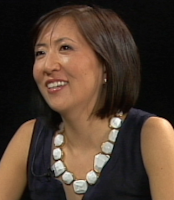 Former Us Weekly celebrity magazine editor Janice Min joining show business trade paper The Hollywood Reporter to spice up the veteran publication's coverage of the entertainment industry. Min, who has also worked for In Style and People magazines, will take up her job as editorial director in June. Her appointment, announced on Wednesday, follows the hiring in April of Lori Burgess, former publisher of OK! magazine, as publisher of The Hollywood Reporter. This picture snapped apparently from an office window, shows Darcy Allan Sheppard confronting a motorist a day or two before Sheppard's fatal altercation with former Attorney General Michael Bryant. It was taken by someone described as "an office worker" and then later, "a lawyer". That person pretty clearly wishes to remain anonymous. His/her pictures were released by the Ontario Court of Justice which of course had them as evidence. The photographer may not cherish the title of "citizen journalist" and it's unlikely we'll ever know that. Whether by high-priced Canon or cheap cell phone, citizen journalism is made of such things in this digital age. Much fanfare as The Times and Sunday Times introduce new sites. Users must register and beginning in June will pay (or not) approximately $4 Canadian a week to access stories. The Times notes that these stories will not be searchable in Google News. "We're taking a big step.... In recent years information and news has been free on the Internet," said Times editor James Harding. "Our feeling is that it is time to stop giving away our journalism, and that's because we feel that we are undermining the value of our journalism," he told BBC radio. Headline link to The Times on this. Remarkable career of News of the World reporter Mazher Mahmood. He has caught many celebrities and dignitaries on tape in embarrassing activities. Mahmood is despised and feared by many. 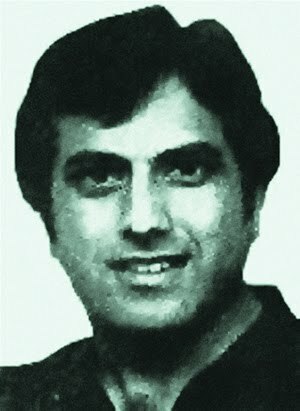 This old photograph, said to be of Mahmood, comes from a website that says, "These are the pictures of 'Fake Sheikh' Mazher Mahmood, an unscrupulous reporter that considers himself above the law when suborning MP's, offering people drugs to entrap them and gives journalism in the whole a bad name as he has no ethics or morals and is not above 'helping' the story along"
Headline link is to a Time.com profile of Mahmood. Column in Star on arrival of the contentious news channel on Canadian screens. Viewer comments show depth of feeling about it. Column could be easier to read. Can Ken Whyte save Chatelaine? Globe and Mail's account of efforts by Ken Whyte, magazine chief at Rogers Publishing, and the new editor of Chatelaine Jane Francisco to save that magazine. Click headline to read story. 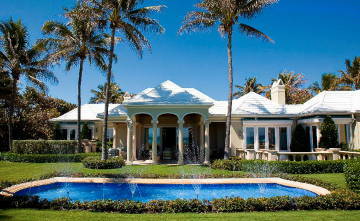 Izzy Asper’s oceanfront mansion at 102 Canterbury Lane in Palm Beach has been put up for sale by the Asper family. It was there that Mr. Asper approached Conrad Black in 2000 with the idea of buying dozens of Canadian newspapers owned by Lord Black’s Hollinger International Inc. Lord Black agreed and they codenamed the deal “A Canterbury Tale” after the mansion’s address and Chaucer’s famous work. The key to Google TV is an on-screen search box, just like on Google's Web site. The TV search box accesses Google's search engine to look through live programs, DVR recordings and the Web, delivering a relatively compact list of results that can be accessed with a push of the button. Internet television has been a minefield for the world's most creative and deep-pocketed companies, and in a sign of the challenge, embarrassed Google engineers struggled initially to get their TV running, asking the audience to turn off their cellphones, which were interfering with TV remote controls. "After the news conference ended, the journalists said they were surprised by many things in Toronto. There were the usual observations — the fresh air, the multiculturalism, the safety. Then there were the small details — the fact you can’t smoke in local bars (“It’s kind of killing me,” said one reporter), and the seemingly simple act of our mayor riding the subway." 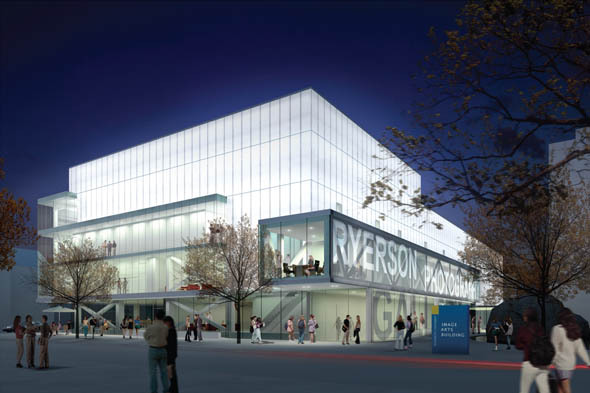 Ryerson University has announced that it is still on the search for a new Chair of the School of Journalism after a recent search "failed to produce a successful outcome," the dean of the Faculty of Communications and Design announced in an internal memo. The dean, Daniel Doz, asked for suggestion for an interim chair as the search continues. Click on the title to read the memo. An extension of a sweeping publication ban on the court proceedings in the murder of eight-year-old Victoria Stafford continues to “muzzle” the media, making it impossible to update the public on an abduction and killing that distressed the nation, a lawyer said on Wednesday after an emotional court hearing. “Eventually we will be able to say something,” said Iain MacKinnon, representing a coalition of several media outlets, including the National Post. “For now, we’re being muzzled. It is pretty extreme.” At an April 30 hearing — scheduled to involve Terri-Lynne McClintic, 19, one of two accused in the murder and kidnapping of Tori Stafford — Judge Dougald McDermid imposed a widely criticized publication ban that prevented almost all reporting of the proceedings. On Tuesday, Judge McDermid heard lengthy arguments to alter the ban. Late on Wednesday, he delivered his decision orally. That decision, however, cannot be disclosed because, immediately afterwards, a lawyer in the room — it cannot be reported who the lawyer represents — stood up and advised that he intended to seek leave to appeal the order to the Supreme Court of Canada. Promising a big return on investment, the provincial and federal governments are spending $1-million this summer to bring the New York talk show Live! with Regis and Kelly to Prince Edward Island. Critics are agog at the price tag, but organizers insist it’s the best advertising money can buy. More than three million viewers a day for four days straight will be treated to glowing, hour-long coverage of the gentle island’s mid-July charms. Proponents say the money is more effective than “same-old, same-old” television ads that can be easily ignored or skipped completely by viewers using personal video recorders. Another Canadian journalist has been seriously injured in a grenade blast during anti-government protests in Bangkok. Chandler Vandergrift has been named in several media reports as the Canadian journalist injured Thursday as troops charged a Red Shirts protestors' camp. Vandergrift has been closely following the unrest in Bangkok on his blog, The Nation's State. His last update was Tuesday and from his entries it was clear he was in the middle of the protests. Vandergrift has spent more than two years interviewing and photographing the people of Thailand, and is working on a book with Thai journalists about the conflict in Southern Thailand. Vandergrift is the second Canadian hurt since the unrest began to overtake the capital of Thailand. Nelson Rand, a Canadian-born correspondent with the France 24 network, was shot in the leg, hand and abdomen May 14, his network reported. He underwent surgery for his injuries and is recovering. Yahoo Inc. is buying freelance news site Associated Content in a deal that will add a more folksy touch to one of the world's biggest Web sites. Financial terms weren't disclosed. The acquisition announced Tuesday will enable Yahoo to supplement its regular lineup of stories by full-time reporters with independently produced material that typically isn't covered by traditional media outlets. Associated Content, launched in 2005 by Luke Beatty, bills itself as "the people's media company." It has developed a low-cost news model that relies on about 380,000 freelancers who share their expertise on a variety of subjects. The material includes how-to advice, review, opinion pieces and coverage about what's happening in neighborhoods around the United States. The stories evidently are striking a chord: Associated Content attracted 16 million visitors last month, according to comScore Inc. That exceeded the roughly 14 million people who visited The New York Times' Web site last month, comScore said. Events leading up to the shooting death of a 7-year-old girl at the hands of a Detroit officer may have been videotaped by a crime-reality series camera crew that was with police as they searched a family home for a homicide suspect. What’s on the video could reveal if Aiyana Jones was fatally shot by an officer whose gun mistakenly discharged inside the house, as police say, or if claims by an attorney for Aiyana’s family of a “cover up” are true. Police have said officers threw a flash grenade through the first-floor window of the two-family home early Sunday and that an officer’s gun discharged during a struggle or after a collision with the girl’s grandmother. The crew for the A&E series “The First 48” was with police during the weekend raid. Lawyer Geoffrey Fieger, who is representing Aiyana’s family, said he has seen video of the siege and that the police account was full of “utter fabrications.” He said a video shows an officer lobbing the grenade and then shooting into the home from the porch. He would not say if the footage he saw was from the A&E crew. Al Jazeera has announced that Tony Burman will move into the position of Chief Strategic Advisor for The Americas to accelerate expansion in the North American market. This announcement follows the recent successful launch of Al Jazeera English in Canada, a significant breakthrough in North America, which was directed and overseen by Mr. Burman. In his new role, based in North America and reporting to the Director General of the Al Jazeera Network, Mr. Burman will focus on new projects and strategies in North America to expand the reach, reputation and profile of Al Jazeera as the world's leading international news and current affairs provider. Next month, the channel will open a Canadian news bureau, making AJE the only international news channel with a bureau in Canada. In addition, AJE will continue to expand its presence in North America by opening additional news bureaus in the U.S., increasing coverage of Latin America and adding new programming to reflect AJE's commitment to cover the world comprehensively with fairness, intelligence and depth. Click on the title to read the full release. 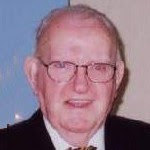 Broadcaster Terry Kielty, who died in Ottawa on May 5 at the age of 86, helped bring live broadcasts of big league baseball to Ottawa-area fans that were hungry for game-day action featuring such stars as Jackie Robinson, Al Kaline and Norm Cash. And what’s more, from the late 1950s to the mid-60s, he brought the play-by-play into local living rooms even when he couldn’t be at the games. On weekends, when his employer, CFRA radio in Ottawa, covered major league baseball’s Brooklyn Dodgers and Detroit Tigers, Kielty would travel to Tiger Stadium in Detroit or Ebbets Field in Brooklyn to handle the broadcasts. 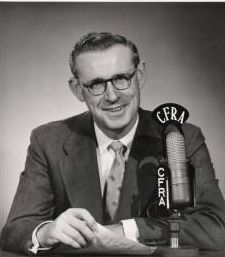 But when travel was too expensive, as when an away game was too distant, he’d do the game from the CFRA studio. He did it by “re-creating” the games from a tickertape service that updated each ball and strike but offered few other details. He and his engineer would add sound effects like the crack of the bat and crowd noise recorded at earlier games. He’d also invent colour, describing fans scurrying to pick up a foul ball he’d read about on the tape or describing how a home run sailed into the outfield seats. An apparently despondent man surrendered to police without resistance about 3:15 p.m. yesterday after threatening to set off an explosion on the doorstep of the Journal de Montréal. The 59-year-old had locked himself in a four-door black Nissan Versa hatchback. The initial call to police was placed at 2:25 p.m., Montreal police Constable Daniel Lacoursière said. During exchanges with officers, the man was heard shouting: "Kill me! Kill me or I'm going to blow up the place!" The building, from which 253 newsroom and office workers have been locked out since Jan. 24, 2009, was evacuated. Canwest Global Communications has received court approval to move forward with the $1.1-billion sale of its publishing division, which includes the flagship National Post newspaper. The company said Monday it will proceed with the agreement to sell the papers by mid-July to a group of creditors led by Post president and CEO Paul Godfrey for $1.1 billion, including $950 million in cash. The deal, approved by Ontario Superior Court Justice Sarah Pepall, covers Canwest's slate of print and online media assets, which include the Montreal Gazette, Vancouver Sun and Ottawa Citizen, alongside community newspapers and websites like Canada.com. Canwest lawyer Lyndon Barnes said the company will continue moving forward with its plan to close the sale. The Godfrey-led group is aiming to finalize the purchase by mid-July.
" . . .In the landmark 1994 Supreme Court ruling in the Dagenais case, the late Chief Justice Antonio Lamer warned that "technological advances have brought with them considerable difficulties for those who seek to enforce bans." "Then nearly 70 years old, Lamer said the effectiveness of publication bans had already been whittled away by the reach of shortwave radio and satellite television. "At a time when less than three per cent of Canadians had Internet access, he said the efficacy of bans had also been reduced by "the advent of information exchanges available through computer networks. "Today, 75 per cent of Canadians have access to the Internet, and Lamer could never have foreseen the impact of sites like YouTube, Facebook and Twitter. . . "
Click on the title to read the full editorial. Police arrested two suspects after an attempted fire-bomb attack on the home of a Swedish cartoonist, controversial for drawing the Prophet Muhammad with the body of a dog. The attack, overnight Friday to Saturday when Lars Vilks (pictured) was not at home, blackened part of the exterior, but the fire went out by itself although police found glass bottles containing gasoline inside. Both suspects, aged 21 and 19, are Swedish nationals of Kosovar origin who reside in the southern city of Landskrona and who were arrested after personal items were found near the scene, police said. Global TV news anchor Kevin Newman, who announced he is quitting, explianed his decision in an interview with the Financial Post. "I'd look at the demographic from the newscast and realize that almost no young people were watching national news, and that's been a problem for a decade. The assumption is they will grow into it when they become 30-year-olds, but the truth is they are consuming information in totally different and new ways. The desire to know about national news is there, but are they willing to sit down at 5:30 to watch it? Not so much. So, I began to realize that the digital divide, the generation gap for how people are consuming news, is big and growing," he said. To read the full interview, click on the title. Winners include Michell Shephard, Stephanie Nolen, James Travers. C;lick on the title for full list. Nelson Rand. a Canadian journalist, was shot in Bangkok on Friday amid the anti-government protests that have crippled the Thai capital over the past few weeks. Rand, a veteran reporter who was covering the clash between troops and protesters for the France 24 news channel, was “gravely wounded” after being hit by three bullets from a military assault rifle, his network reported. Two other journalists were also reported hurt in the violence in Bangkok on Friday, including a photographer from a Thai newspaper. Two Canadian and one U.S. media outlet have launched a fight against a Pentagon decision to ban their reporters from hearings involving Omar Khadr (pictured). The Miami Herald, the Toronto Star and Canwest have appealed the decision to the Pentagon. They contend it was illegal and unconstitutional. Earlier this month reporters from those three media outlets and the Globe and Mail were told they could no longer attend pre-trial hearings at Guantanamo Bay involving Khadr because they breached a ban identifying a witness, even though the man's identity was widely known. The Pentagon said the media outlets could continue to cover the hearings using other reporters. It seems a natural death. After 86 years in the Daily News comics, there are no more tomorrows for "Little Orphan Annie." The plucky redhead with the saucer-shaped eyes appears in her final newspaper strip on Sunday, June 13. 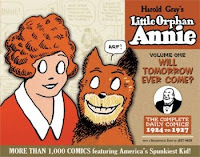 "It's kind of painful," said cartoonist Ted Slampyak, who started drawing Annie, Sandy and Daddy Warbucks six years ago. "It's almost like mourning the loss of a friend." The strip's debut came on Aug. 5, 1924, exclusively in the Daily News. Cartoonist Harold Gray, who created the character, drew her until his death in 1968. Daddy Warbucks' adopted daughter starred in a radio series in 1930, a Broadway smash in 1977 and a $35 million movie in 1982. New York Daily News. PC World offers chippy assessment of Facebook's new privacy policies announced today. Globe and Mail item on CBC report noting, among other things, that some Conservatives are church-going Christians. BBC sums up the storm. Glee creator Ryan Murphy has called for a boycott of Newsweek magazine over an article which suggested gay actors cannot play straight roles. Murphy called the column, by gay writer Ramin Setoodeh, "needlessly cruel and mind-blowingly bigoted". The writer said that Will and Grace star Sean Hayes' Broadway performance as a heterosexual lead was "insincere" and "unintentionally camp". Godfrey pledges to take CanWest "digital-first"
Paul Godfrey was born and grew up in Toronto and subsequently pursued a long career in Toronto politics, culminating in his term as Metro Chairman. In 1984, after he left politics he joined the Toronto Sun as publisher and CEO. In 1991 he succeeded founder Doug Creighton as president and chief operating officer of Toronto Sun Publishing. 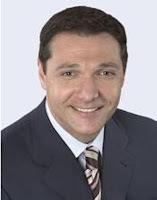 In 1992 he became CEO of the Toronto Sun Publishing replacing founder Doug Creighton. Creighton was forced to resign by the board of directors and the parent company, Maclean Hunter. In 1998, Godfrey organized a deal with Conrad Black to swap the Financial Post with four daily newspapers in southwestern Ontario. These included the Hamilton Spectator, Kitchener-Waterloo Record, Guelph Mercury, and Cambridge Reporter. In October 1998, Sun Media was approached by Torstar Corporation in an unsolicited takeover bid for $748 million. Godfrey said he was surprised by the move.] Two months later Quebecor Media Inc. made a higher and eventually more successful bid for a reported $983 million. Godfrey was a key figure in seeking out Quebecor as an alternative buyer. After the sale, Quebecor, initially heralded as a 'white knight' buyer, forced Godfrey to cut 180 jobs from his newspaper. 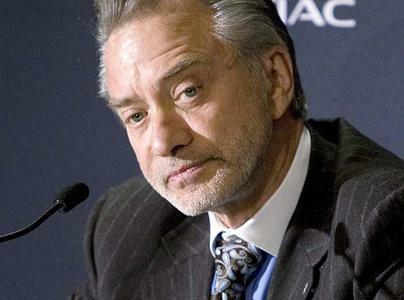 In November 2000, Godfrey announced that he was stepping down as CEO of Sun Media. There was some speculation that he was uncomfortable while under the control of Quebecor. He remained on the board of Sun Media. Wikipedia. Thoughtful piece in The Atlantic. 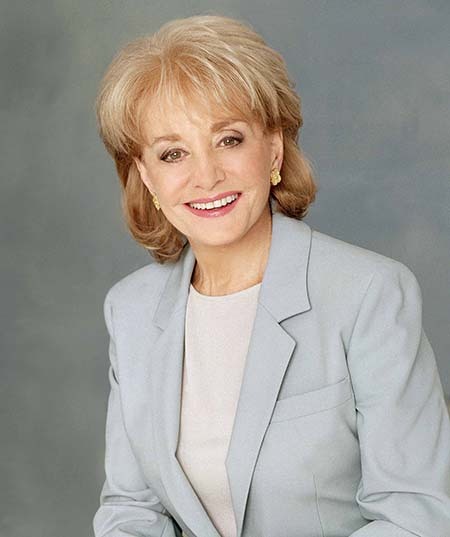 Iconic newswoman makes annoucenment on The View that she will have a valve replaced. Ms. Walters, who is 80, said that she has always enjoyed excellent health but that she had been aware of this condition for some time and decided that the summer would be a good time to recuperate from the surgery. The office of her personal publicist, Cindi Berger, later said that Ms. Walters would make no further comment about the condition and would give no interviews about it — even to her longtime employer, ABC News. 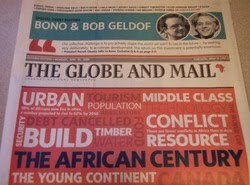 Rock super-zillionaires help raise awareness of Africa by lending their names and thoughts to the Globe and Mail's Africa edition this morning. Though this issue is very different looking, we assume the Globe remains Canada's unreconstructed busily restructuring National Newspaper. Editorial sees redeeming quality of free press recognition, but finds decision will send a chill "when reality sets in..."
In an article slugged "Battle Stations" the National Post reports on unhappy competitors Rogers and Quebecor Media discussions to derail the deal. He wants to "invert the traditional model of journalism"
Story on Wilf Dinnick's new website OpenFile from the Globe and Mail. Landmark decision delivered today in Ottawa. Justice Binnie called it "simplistic" to think that reporters could offer any source complete anonymity. Interestingly, for SCOC watchers, the 8-1 decision had Justice Abella as the lone dissenter. Justice Abella agreed that there should be no blanket privilege but concluded that The National Post should not have to comply in this case. Globe and Mail. Four reporters, three of them from Canada, were barred from the Khadr trial in Guantanamo, allegedly for revealing the name of a "protected witness". Those reporting for the Canadian papers are Michelle Shephard of the Toronto Star, Paul Koring of the Globe & Mail, and Steven Edwards of Canwest Newspapers. It appears the papers may replace the reporters banned and that an appeal process is in place for those barred to regain access. The Supreme Court of Canada rules Friday in a case which bears on the right of journalists to shield confidential sources. The National Post and former Post reporter Andrew McIntosh are asking the court to quash a search warrant issued almost a decade ago as part of what became known as the Shawinigate affair. 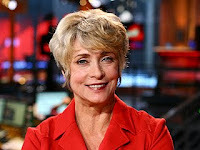 At stake is McIntosh's guarantee of confidentiality to a source known only as X, who sent the reporter a key document which was later denounced as a forgery. In 2000, McIntosh was investigating ties between then-prime minister Jean Chretien and the Grand-Mere Inn, a resort in his home riding. McIntosh reported that Chretien had urged the Business Development Bank of Canada to lend money to the inn. They suspect she was axed, but either way Ann Rohmer is moving on from CP24. The forced departure view is coloured a little by news that she will stay around to do special hosting. Of course, it may just have been about money. That's been known in television. Ann Rohmer has been in broasdcstintg in Toronto for 31 years. Informative Globe and Mail story which is definitely looking for the bright side to the newspaper malaise. Globe leads paid circulation but is still down one percent from last survey. Report on Torstar results calcuates the figure based on its 20 percent stake in the network. Toronto Star parent Torstar reported a first-quarter profit Wednesday on improved results from its newspapers and digital assets. "The newspaper and digital division was the driver of the growth with earnings in the division increasing by $17.1 million from $7.2 million to $24.3 million," President and CEO David Holland told analysts. Torstar earned C$7.4 million or 9 Canadian cents in the first quarter, up from a loss of $21.4 million or 27 Canadian cents in the year-ago period, which included a substantial restructuring charge. Revenue fell to C$334 million from $339 million a year ago, but EBITDA soared 80% to $44.7 million. In the Star Media Group, including the Toronto Star, Canada's biggest daily, revenue was up 4.7% to $107.1 million, said the group's publisher and president, John Cruickshank. For generations, Time and Newsweek fought to define the national news agenda every Monday on the newsstand. Before the Internet, before cable news, before People magazine, what the newsweeklies put on their covers mattered. As the American conversation has become harder to sum up in a single cover, that era seems to be ending. The Washington Post Company announced Wednesday that it would sell Newsweek, raising questions about the future of the newsweekly, first published 77 years ago. After months of delays, the English-language version of Al Jazeera, the Mideast news network, is coming to Canadian television screens. The 24-hour news channel announced Tuesday that it has reached an agreement with distributors and Vidéotron Ltée to be carried on each company’s cable and satellite services. Al Jazeera English (AJE) managing director Tony Burman said the network will attempt to challenge other news outlets such as CBC and CNN with more comprehensive global coverage, including “countries that are barely mentioned in many newscasts in Canada.” AJE, which launched three and a half years ago, can be seen in almost 200 million households in more than 100 countries around the world. AJE won regulatory approval to broadcast in Canada in November. The Walrus has scored the most nominations for Canada’s 2009-2010 National Magazine Awards. The Toronto-based current-affairs monthly has pretty much dominated the NMAs since its inception in the fall of 2003 and is doing so again this year, earning a total of 33 nominations, including 23 in various writing categories. Its nearest rival is Maclean’s, the Toronto-based news weekly, which received a total of 27 nods, including 22 in writing categories. Toronto Life, a monthly, is in third place, with a total of 26 nominations, 19 of them for written work. The winners of gold and silver and honourable mentions will be named on June 4 in Toronto. Corus Entertainment Inc. said Monday it has appointed Doug Murphy as president of Corus Television, effective immediately. Mr, Murphy replaces Paul Robertson, who has been hired by Shaw Communications Corp. to head up Canwest Global Communications Corp.'s broadcast assets, once they come under control of Shaw. Shaw announced Monday it had agreed to purchase 100% of Canwest's broadcast properties for $2-billion, including assuming more than $800-million in Canwest debt. Mr. Murphy joined Corus in 2002 and was most recently in charge of Corus Kids and Nelvana. He also worked for more than 10 years in senior positions at the Walt Disney Co.
Michelle Lang, a reporter who was killed on the job in Afghanistan, has been named this year's winner of the Canadian World Press Freedom Award. She worked for the Calgary Herald. Lang and four Canadian soldiers were killed last Dec. 30 when the armoured vehicle they were in struck a roadside bomb. The Canadian Committee for World Press Freedom Award includes a cash prize of $2,000 and a certificate of honour from the Canadian Commission for the United Nations Educational, Scientific and Cultural Organization. A major shift in Canadian television ownership is coming that will fundamentally alter the country’s broadcasting landscape, as Calgary’s Shaw Communications (TSX:SJR.B) has struck as deal to take over the TV assets of Canwest Global. 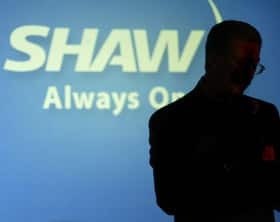 Shaw, up until now primarily a cable TV and Internet provider, said Monday it has reached a deal that will see it become the new owner of Canwest’s over-the-air TV stations and specialty cable channels in a series of transactions totalling about $2 billion. The agreement would give Shaw 11 local Global TV stations across the country, and ownership of a group of specialty channels, including Showcase, MovieTime and HGTV, some of which were acquired from Alliance Atlantis in 2007. Click on the title to read the full Toronto Star story. Torstar Corp. said it has made an offer to buy Canwest Global Communication’s newspaper businesses that were put up for sale in January. The publisher of the Toronto Star gave no financial details of its offer, which has been made as part of a confidential bidding process. Fairfax Financial Holdings is also participating in the offer, it said in a statement. Canwest filed for bankruptcy protection for its newspaper unit on Jan. 8, weighed down by some C$4 billion in debt. The group’s television assets, which were also placed under court protection, are being bought by Shaw Communications. Torstar said the purchase, if successful, would be “material” to the company. The Hamilton Spectator and Guelph Mercury tied for most awards collected at the Ontario Newspaper Awards gala Saturday night. They each took home six awards. The Waterloo Record and Windsor Star share second place with four awards each, while the Niagara Falls Review won three awards. The Woodstock Sentinel-Review netted two awards. The London Free Press, the Ottawa Sun, Kingston Whig-Standard, Simcoe Reformer, St. Catharines Standard, Sudbury Star and Owen Sound Sun Times each picked up one award. The Internet is not a "no man's land" when it comes to libel, lawyers for Conrad Black say in arguing that six libel lawsuits should proceed in Ontario, where he established his reputation and should be vindicated from statements about his use of Hollinger shareholder money. Lawyers for the media baron turned convicted felon will be in the Ontario Appeal Court on Monday for a hearing on an appeal from the libel action's defendants. Black is attempting to sue members of a special committee of Hollinger International over statements published on the Sun-Times Media Inc. website. Court documents cite in particular a 2004 report from the committee, authored by Richard Breeden, that said the company was a "corporate kleptocracy" while Black was the CEO, that Black "freely used the company's coffers, financed by its public shareholders, to finance (his) own lifestyle," and that Black had "looted" the newspaper publisher of at least $300 million. While Black is serving a 6 1/2-year sentence in a Florida prison for obstruction of justice and three counts of fraud, his lawyers note the allegedly libellous statements "go far beyond the matters for which the respondent was ultimately charged and convicted." Executives at The Washington Times are negotiating to sell the newspaper, which was founded in 1982 and funded by the Rev. Sun Myung Moon's Unification Church. Nicholas Chiaia, a member of the newspaper's two-person board of directors, confirms the Times is on the market. In a statement, he says executives recently entered into discussions with "a number of parties interested in either purchasing or partnering with the Washington Times." Last week, Publisher Jonathan Slevin left the newspaper, saying the board had been playing an "intrusive role" in day-to-day affairs. The Times has cut more than 40 percent of its staff this year. Star's public editor on who decides "what's news"
"The day before, reader Bill Archibald emailed to inquire why the Star had devoted time and space to the story of Ludwig the cat who went missing at Pearson airport. Why, he asked, is a lost cat news? "In any given week, readers of the Star are apt to ask some variation of the essential questions at the heart of those emails: What is news? Who decides what the Star pays attention to — and what it ignores. What runs on Page 1 and on the home page of thestar.com? "Readers are quick to weigh in on what the Star covers as well as what it doesn’t cover. .. .
"Journalism is, by necessity, the art of selection, of deciding what matters and how to present that to audiences. While the Internet and the emergence of “citizen journalism” and social media have made it easier to connect and communicate within our global village, leading some to argue that journalism’s role as a “gatekeeper” is not necessary, there’s a case to be made that the barrage of accessible information makes the editor’s job of selection more vital.. . ."